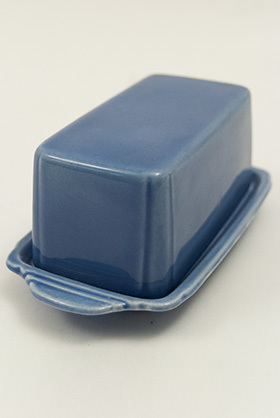 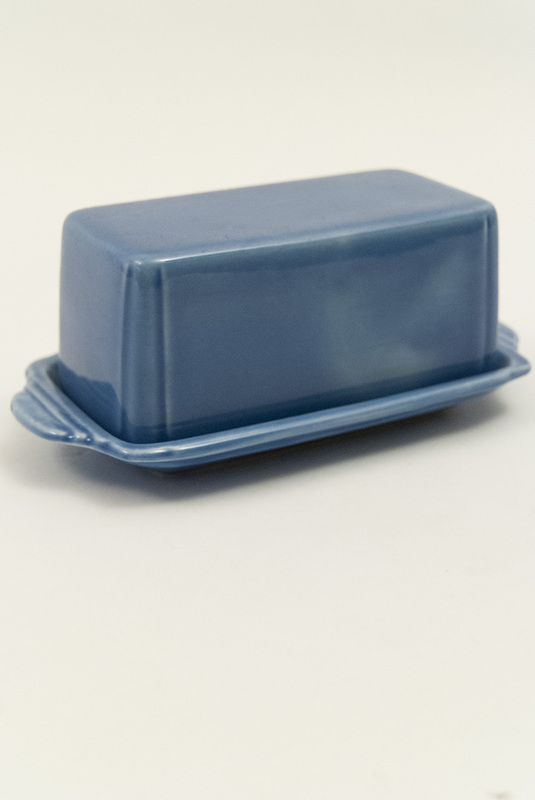 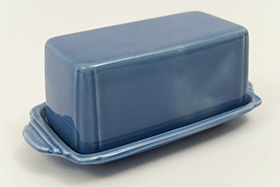 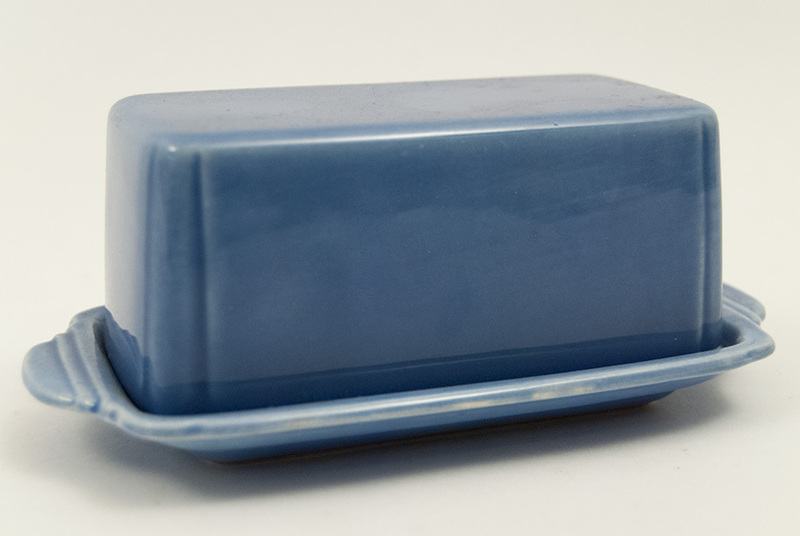 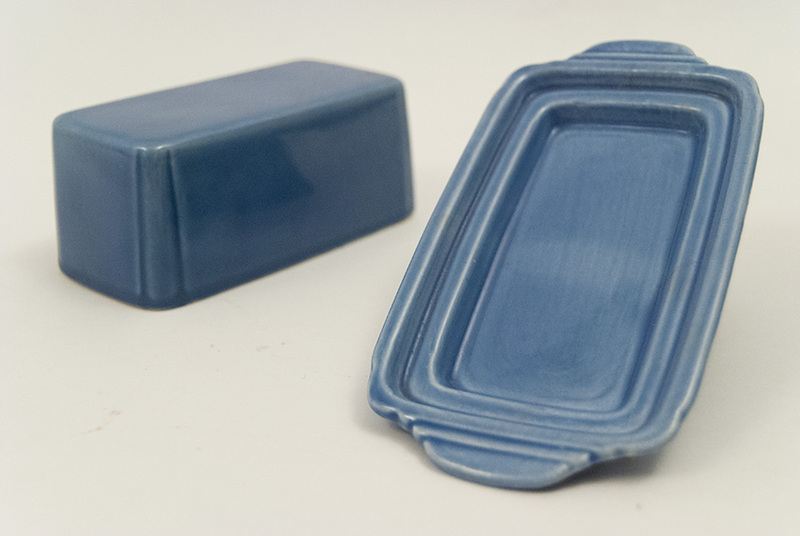 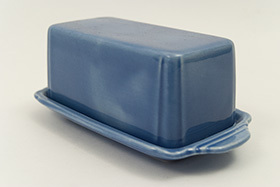 Circa 1938-1944: While Fiesta pottery never officially had a butter dish in the vintage line, the sister pottery line of Century had a small quarter pound version that was a two piece ram press construction. 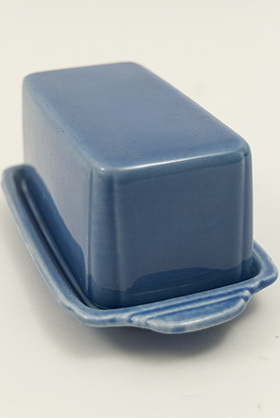 This lines butter was dipped in the four Riviera glazes of mauve, red, yellow, original green. So Fiesta collectors too can add a vintage butter in an original green or red. Harlequin collectors also have the 1/2 lb butter to choose from, and contemporary collectors now have a butter dish, but nothing beats the design in this classic art deco design with the rich and creamy vintage glazes. 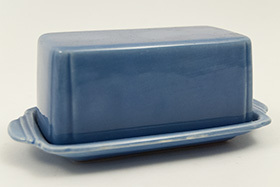 This one in the early mauve glaze is very rare, and perhaps one or two surface each year for sale. 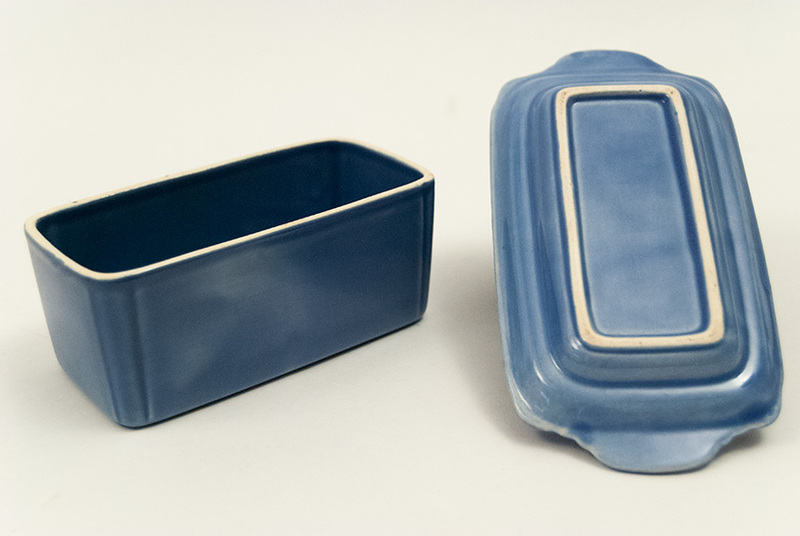 No chips, cracks, touchups or repairs. Please note some mild glaze variations.